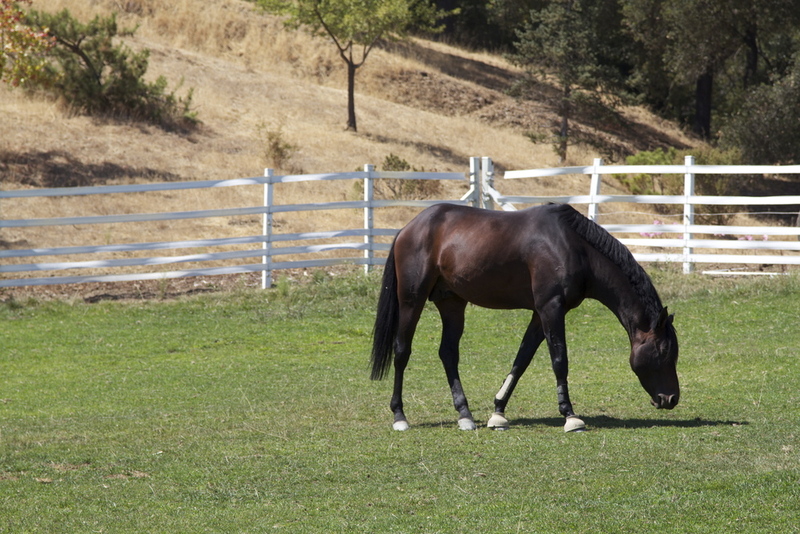 PVTC is the premier horse training facility in the bay area. Once a racehorse training grounds, the training center offers eight outdoor riding arenas, a 5/8 mile race track, covered arena, outdoor turnouts and plenty of open space for our horses. 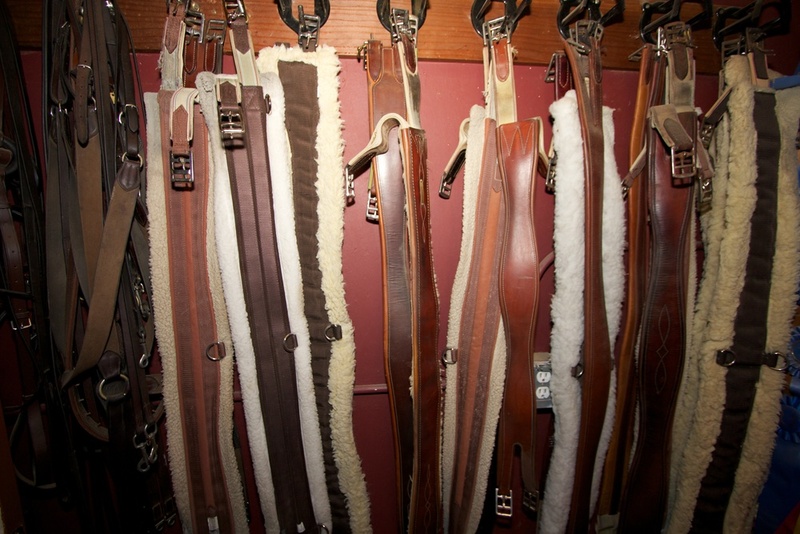 With a proven record of dedication to the horse industry, PVTC offers Charlebois Farm a large tack room, a beautiful office, and our own riding arena located in the front of the property. 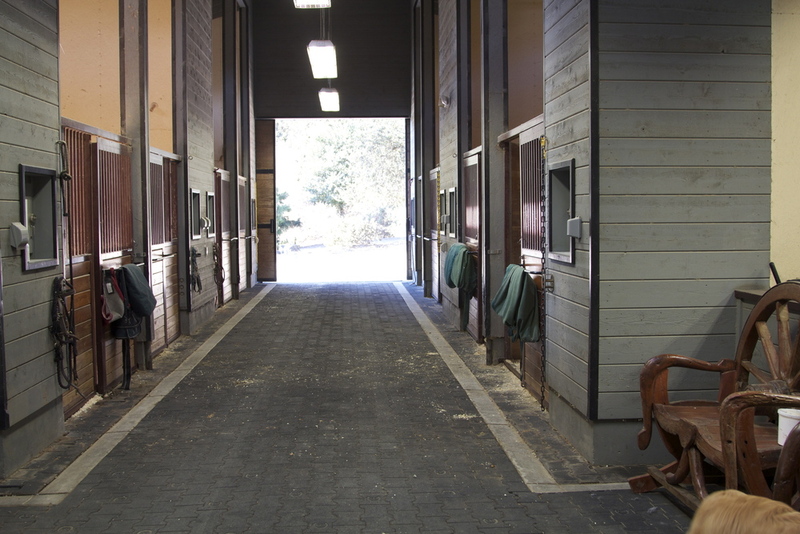 Our barn offers spacious grooming stalls, hot and cold wash racks, and an automated in-barn fly spray system. Our facility is also equipped with a state of the art equine treadmill. 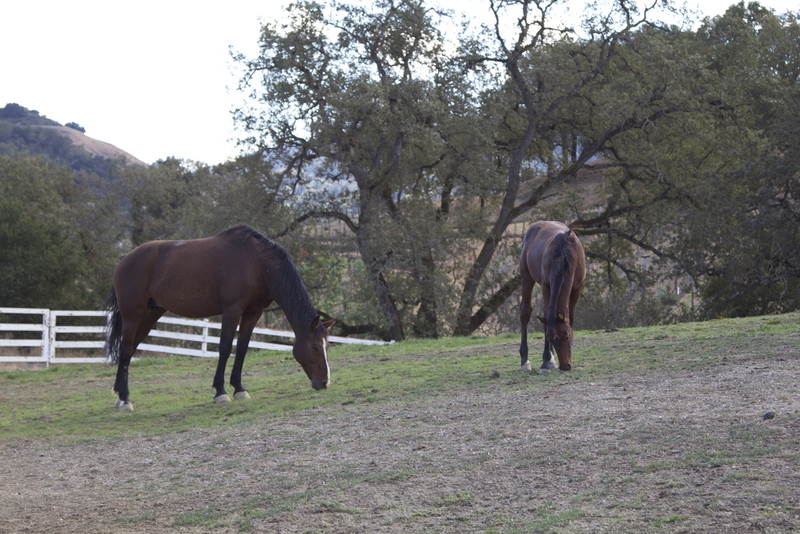 Horses are fed alfalfa, oat hay, or grass pellets two to three times a day. They are also given a combination of fortified grain as needed and bran mashes during lunchtime. 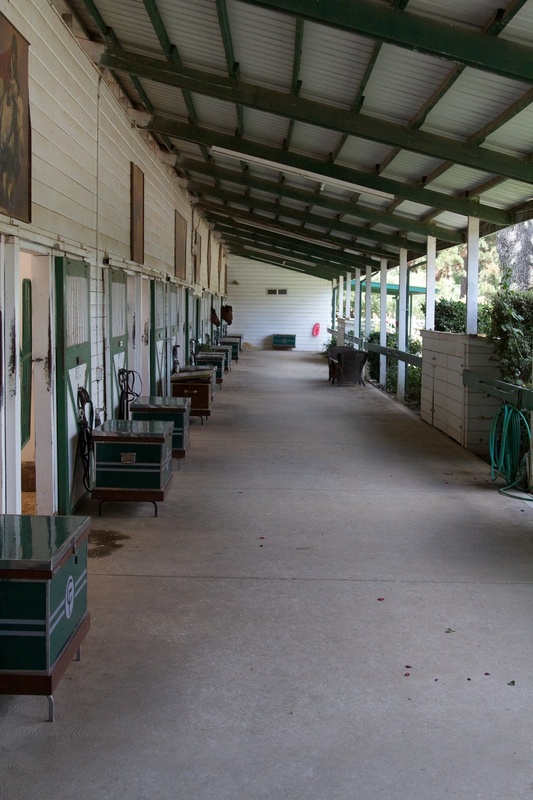 The wonderful PVTC staff cleans the stalls twice per day, and maintains the grounds and arena in impeccable condition. Horses are turned out daily and blanketed as needed. 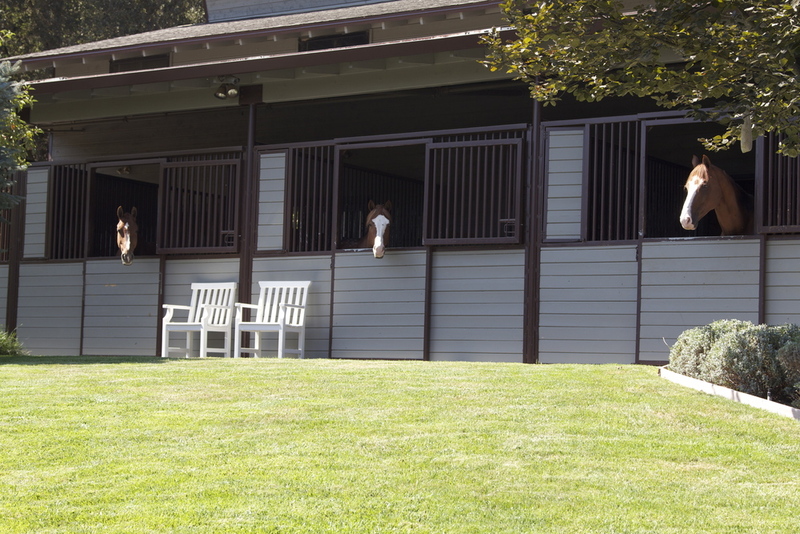 Saratoga Farm is a beautiful horse training facility hidden in the quiet hills of Saratoga, California. 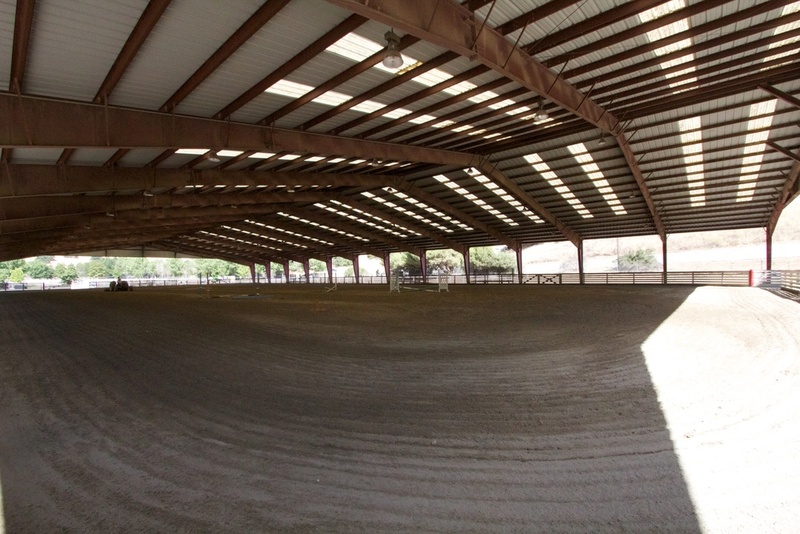 The facility offers a 32-stall state of the art barn, a 100 x 190 covered arena and a 250 x 125 outdoor arena with premium sand and felt footing. 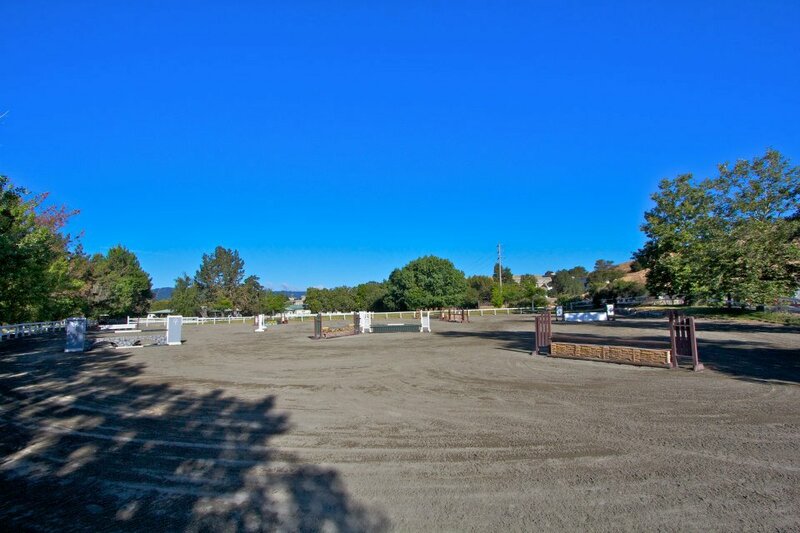 Our five irrigated large pastures, and 37 miles of trails make this one of the premiere equestrian facilities in Silicon Valley. 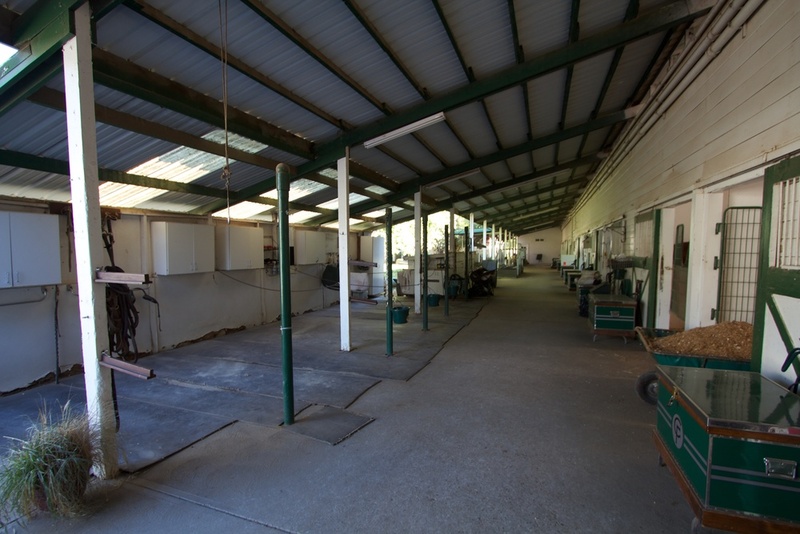 The large barn boasts rubber mat isles, spacious grooming stalls, hot and cold wash racks, and an automated in-barn fly spray system. There are also large tack room, office, laundry room, kitchen, and bathroom spaces. Horses are fed a combination of grass/alfalfa hay, pellets and fortified grain (as needed) three times a day. Bran mashes are fed daily during lunchtime. Our wonderful staff ensures stalls are cleaned twice a day and maintain the property in impeccable condition. All horses are turned out in irrigated pastures daily and blanketed as needed.